The lights are going out in Venezuela. Government officials announced Thursday that they would begin rolling blackouts for 40 days in cities across Venezuela, starting next week. The move will help save power at a time when water levels at the country's main electric dam are at record lows. The government says the El Nino weather pattern and drought are to blame. Outside experts say mismanagement and a corrupt government have been the root cause. "The blackouts are just more evidence of an utterly dysfunctional government," says Michael Shifter, president of the Inter-American Dialogue, a Washington research group. "This is a government that is not governing." It's quite an irony for Venezuelans to be facing blackouts. Venezuela has the largest proven oil reserves in the world. However, it uses its oil to export to other countries, not to keep the lights on at home. Officials are already forcing Venezuelans to cut back on energy. They're feeling the pinch. Glenda Bolivar lives in Caracas, the country's capital, and she stopped blow drying her hair at her local salon. "Pretty soon we will only be able to use candles like the old times," says Bolivar. Power will go out for four hours per day for 40 days. 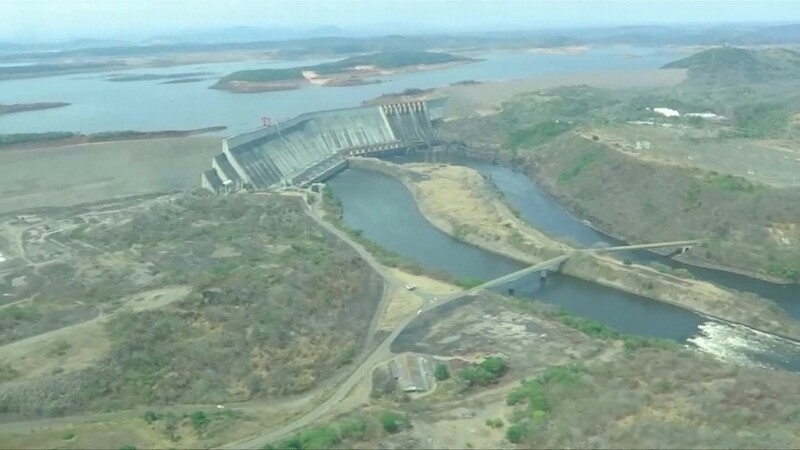 The country's electricity minister, Luis Motta Dominguez, said the blackouts could continue beyond 40 days if water levels at the El Guri dam, which provides about 75% of the country's electricity, keep falling to record lows. The blackouts aren't new. President Nicolas Maduro was deeply embarrassed in March when power cut out during a speech broadcast on national television. These blackouts are just the most significant step the government has taken to save energy. On April 6, Maduro forced government employees and other workers to take Fridays off. Maduro also plans to push forward Venezuela's time zone half an hour in May to give people more daylight during working hours. "We are going to have long weekends where we have to increase the public contribution," to save energy, Maduro said. It's the latest setback for Venezuelans, who are suffering through arguably the world's worst economy. Venezuela is in a severe recession. Related: Oil-rich Venezuela imports oil from U.S.
Venezuela's economy shrank 5.7% last year and it's expected to contract another 8% this year. Inflation has skyrocketed in Venezuela and it could increase nearly 500% in 2016, according to the IMF's projections. The country's economy depends on exporting oil. With oil prices still low, the country has been running out of cash reserves to keep the country afloat. Venezuela's currency, the bolivar, is worth less than a penny on the black market exchange, where many Venezuelans exchange bolivars and dollars. For Venezuelans, the blackouts add to a litany of other daily burdens. The government can't pay for basic imports like sugar, flour and eggs. Many Venezuelans wait several hours in lines outside supermarkets, hoping shelves won't be emptied out by the time they arrive. Medical supplies are hard to find too. That's especially concerning since the Zika virus began spreading in Venezuela and other Latin American countries in January. Now they must live without electricity for parts of the next 40 days.